As CBD grows in popularity, you may be curious about trying it out yourself. Whether you’re seeking its non-impairing effects on inflammation relief, stress relief, sleep, or its other emerging benefits, there’s no time like the present to give it a shot. 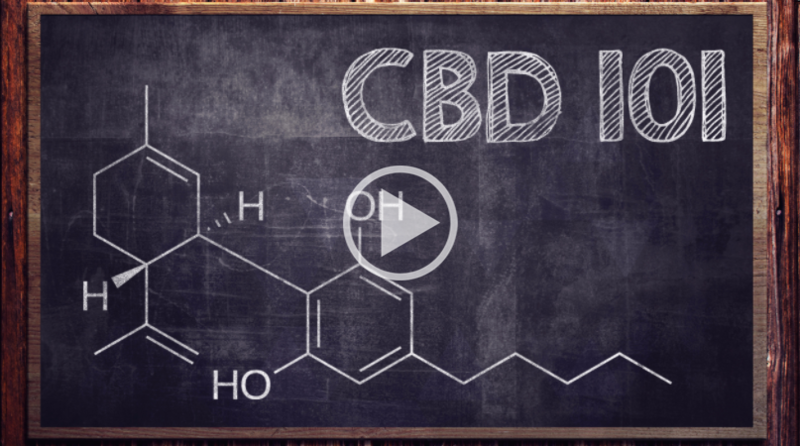 With the variety of CBD products on the market, it can be difficult to know which is right for you, and what is the best way to consume CBD for maximum benefit. Should you ingest it in a tincture or consume an edible? Is it better to vape CBD oil or smoke hemp flower? Should you use a topical lotion or apply a transdermal patch? Below is a quick guide to the different options and how they differ. CBD tinctures are alcohol, oil, or vegetable-glycerine based CBD extracts that usually come in a small bottle with an eye-dropper for a lid. Many people choose to use tinctures because they are a discreet way to consume CBD throughout the day in small, measured doses. The eye-dropper makes controlling your dosage much easier. This makes it the best way to “dial in” the correct amount of CBD to find your ideal dosage level. There are two main ways to consume tinctures. You can add your desired drops of oil or vegetable-glycerine based CBD extracts into your food or beverages. For alcohol-based tinctures, you can also place a few drops under your tongue for faster absorption. More people are enjoying CBD edibles for longer-lasting effects. There are a wide variety of CBD edibles available depending on your consumption preference, ranging from tinctures to pills to chocolates. Most come in standard dosages ranging from 5-20 mg but medical dosages can range up to 100 mg.
Ingesting CBD rather than inhaling it provides a longer-term, more holistic effect since the cannabinoid is broken down slowly through the digestive tract before entering the bloodstream. For this same reason, it may take longer to feel the beneficial effects of CBD when eating it. For those concerned with sensitive medical issues, this is one of the healthiest ways of consuming CBD. Inhaling is the quickest way to feel the benefits of CBD as it enters the bloodstream directly through the lungs, however the effects usually wear off after a couple hours. With vaping you can go a few different ways: vaping CBD oil, CBD concentrates or vaping dried CBD-rich flower. Many people enjoy the ease and practicality of CBD oil vape pens, and as with any cannabis product you'll want to do your homework and understand what's in the oil you're vaping, such as potentially harmful additives or other contaminants. Another option is CBD concentrates, which can come in oil, wax, shatter, sap, or other distillations that require a dab rig or other equipment to inhale. These usually contain higher percentages of CBD than vape oil. Vaping hemp flower or CBD-rich cannabis flower is also an attractive option for many and requires a dry herb vaping to vaporize the plant’s cannabinoids, terpenes, and other great compounds without carbonizing it. The benefit of dry herb vape is that you get the “full spectrum” of beneficial terpenes and cannabinoids that can make CBD more effective, although it's helpful if you know what's in the herb, where it came from, and that it does not have any contaminants, such as mold, pesticide or bacteria. CBD oils and concentrates can also be “full spectrum” but these are usually more expensive. If you ever have any questions about the products you're purchasing, don't hesitate to ask for lab test results or how the product was manufactured. The best CBD companies will be transparent about their processes, and the more you learn about this plant, the more questions you'll know to ask. Whether you choose to vape concentrate or dry herb, both methods are cleaner than smoking hemp flower, which many people enjoy although can irritate the throat and lungs with carbon and ash. Variety of concentrates, terpene profiles, and CBD levels to choose from. Because of cannabinoid receptors found in the skin, topical application of CBD and cannabis products can also bring therapeutic results. Additionally, applying CBD in a lotion, oil, or gel form is the most effective way to spot-treat localized pain and inflammation. This can bring fast relief to specific areas of muscle ache or joint pain without the CBD entering your bloodstream. Topical CBD treatment can be effective on more lasting issues, such as chronic pain and arthritis. It can also be applied for skin-care conditions such as acne. CBD patches are worth a try when traveling or when dealing with chronic issues. A transdermal patch is a medicated adhesive patch placed on the body, supplying CBD into the bloodstream through the skin. Transdermal patches are a great method for long-term pain management or other conditions that require consistent dosages throughout the day. They are the best option for those who want holistic CBD treatment without consuming edibles. With the many methods of consuming CBD now available, it can take some experimentation to discover which one is right for you. Be sure to do your research. It is always worth the time to investigate which CBD companies and products have the best reputation and reviews. This way, you’ll save money and get the most out of your purchase. Finally, every person’s body chemistry and needs are different. With any product, start with a low dose of CBD and work your way up to find the right amount for you.